An all-inclusive and flexible association management solution that is built around a core membership database that can improve an organization's day-to-day efficiency, including managing members, automating membership dues, communicating with members, and planning events. "MemberLeap is a great website platform"
When I started using MemberLeap, I had never used software to create web content before. I was surprised at how easy it was to create and update web content. The interface is extremely intuitive and it is easy to learn the multiple functionalities of the software. MemberLeap is also extremely responsive to help troubleshoot issues. Recently, I had to reach out to them to get a quote on how much it would cost to make a couple of edits to our web layout. They responded within a couple of days and were very clear on price. Finally, it is very easy to embed multimedia items into content - I typically need to embed a large number of images. I can easily link to these images. The content editor can have glitches at times. I've noticed that it can add extra characters after publication and can be finicky with special characters. Additionally, it is very important to save work if you are working on the same content for a long time - I've experienced (the hard way) that you could be logged out of your account and lose all your work. I often need to update the content of our website - MemberLeap makes this frequent updating easy and the layout looks great! "A great packaged solution for a condo HOA"
New look and feel is great; also mobile friendly. We use broadcast email for all association updates. We also use file storage for meeting minutes, contracts and other important documents that are to be shared with our members. The upgrade process we just completed was smooth and I've learned to make my own changes to our website. Customer service has been excellent. One possible critique is that configuration options are initially difficult to find because they are in so many places. I have become used to this and know where to find most options. This software is a great solution for our HOA. We have had MemberLeap for many years and just updated our website to be more modern and mobile-friendly so that more users would get engaged, and I believe this will be realized. We use the member database, broadcast email and text, file storage, and now we are starting to use some of the engagement features for projects/committees. "Easy to use and understand; some limitations"
The MemberLeap software is easy to use and understand and has made managing our non-profit much easier with membership rolls, dues, events, etc. I couldn't do the daily work we do without it. Sometimes it can be a bit contained in that certain parts of the program can be limited or need to be modified, but that's not necessarily unusual. I would really like the Quickbooks module to work. We tried while it was in Beta and it couldn't do what we needed. I would also like to be able to delete dropped members from the rosters. I would like to know more about the event operations. It would be nice to put directions, floor maps, mobile check-in, etc. as additions to our event planning. "Excellent Platform and Service!!! " Ease of use, service department is amazing (they answer all your questions and take the time to explain everything to you before you get off the phone)!!! Try it, put it through its paces, and even call for help! You will be more than satisfied. We are able to not only host our website, but also control our membership database, conduct surveys, and modify our POS/Invoicing system from a single place!! It's saves us so much time (which equals money) by combining them all together at a very reasonable price! I have been happy with MemberLeap for over 7 years! "Having your staff of experts a click away"
The ability to address a problem and have it resolved almost immediately is simply a click or two away. The team members are experts at what they do and no problem seems insurmountable. I have no issues to complain about. They are an excellent provider and their response to questions is extremely quick. Our organization does not use the service for organizing events simply because we do not hold events or meetings as other organizations might. 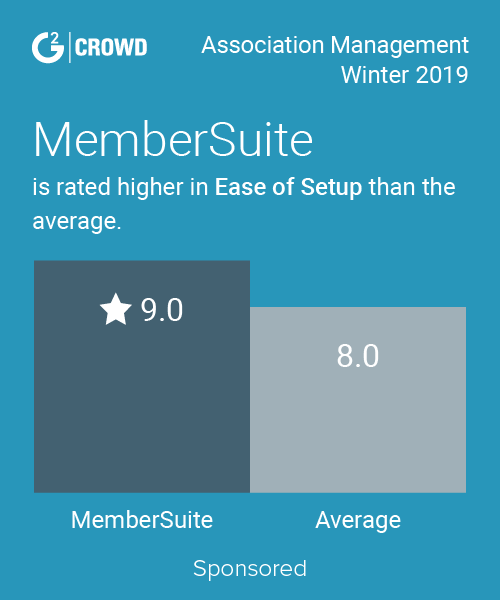 However, our reliance on MemberLeap for member communication, database management and analytics has been instrumental in both improving our organization profile and in attracting and retaining members. Service is unequaled and cost is quite reasonable. They are the seamless back-end of our successfully run organization. It is difficult for Smaller organizations to maintain a website. Our smaller 60-100 group needed a website, but we also wanted the perks of the big websites, such as on-line registration for events, on-line dues payments, billing and invoicing. This website allowed us all these functions and many more. The customer service and response times are absolutely outstanding. Memberleap offers training, videos, and other assistance as needed. Organizations such as ours rely on volunteer board members, who typically do not have a great deal of time to keep track of business, membership, and fees. This program has decreased the time required and simplified the duties. While it is user friendly, some terminology is not exactly what I would use so there is a small learning curve. The flexibility of memberleap allows you to handle membership one time annually or per individual. There is flexibility in almost every area to customize for your needs. Our group has grown to 150 and it makes planning events and maintaining memberships a breeze. Most functions are automatic. "Hands Down the best MMS out there!" Support, Support, Support!!! From our awesome first contact, Lisa Vickers who TRULY goes the extra mile, to the entire support team...... they have been nothing short of amazing. This product easily automates membership management and yet adds many powerful features for those that need them. Also further, there are modules that can be activated that turns the Memberleap product into an all encompassing software package! Powerful product with a great team behind you to help overcome any hurdle you have in transition. The various modules available in the software package has not only enhanced our members’ experience but has also enabled our staff processes to become more efficient. The support team has always provided timely responses to inquiries and requests for tailored programming has always been completed in a timely manner. I could not be happier with our MMS services and support. We have found no shortcoming in features and functionality of the software. Review the demonstration website & client testimonials and research other options, including the pricing tiers. Our organization no longer needs to use several vendors to provide services to our members or for staff to complete their work AND the difficulty of integrating or merging information from one vendor to another has been eliminated. I like being able to edit and change our company's websites when I need to. If I have a problem or something happens, I can submit a help ticket and within a few hours, my problem is fixed. You can't find that with other big companies. I like all the services that MemberLeap provides. Don't consider anyone else than MemberLeap. 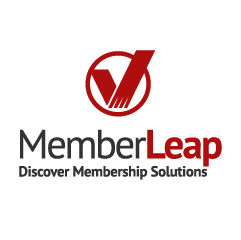 MemberLeap provides excellent membership benefits. Our company is able to send out memos, emails, text messages - It's a great benefit to be able to remain in constant contact with our membership. Having the database mgt, billing and event registration within workable one system is a huge plus. It's billing system can interface with QuickBooks. We are able to send surveys, create newsletters and blogs from MemberLeap. Customer Service has been excellent, quick to respond and they work fast to answer questions or resolve issues. Occasionally a member has trouble accessing the member side of the site/logging in, but it's usually due to member negligence, not the site. occasionally the payment link within an emailed invoice won't connect, again, not sure the 'problem' is caused by MemberLeap. Streamlining billing and bookkeeping, ease of having a 'one stop shop' with many daily association needs available from one system (mass emails, e-newsletters, blogs, website updates, event registration, billing, membership, billing and event reports) is very convenient. MemberLeap's support is very friendly and responsive. The functionality of this platform is exceptional. Only a few minor things that aren't customizable. We use MemberLeap to manage our membership and conference registrations. "Best Decision We Have Made"
Customer service is top-notch. Timely, accurate, terrific follow-through. Would like a more robust newsletter system. Event management, all-in-one software, communications with members, billing management. "Vieth Consulting is perfect for our needs"
Vieth Consulting is a great tool for non-profits to tie their database and website together. Vieth is flexible and always on top of any issue that arises, while keeping fees low. Nothing. The software is great and allows us to do everything web and database related in one place. Members have access to their information, which cuts down on staff time. * We monitor all MemberLeap reviews to prevent fraudulent reviews and keep review quality high. We do not post reviews by company employees or direct competitors. Validated reviews require the user to submit a screenshot of the product containing their user ID, in order to verify a user is an actual user of the product. Hi there! Are you looking to implement a solution like MemberLeap?